Good day. I have a 1998 Audi Cabriolet. Drives and rides fine but I took the cap off the top of the struts and the strut or metal piece that holds the strut in from the engine compartment, sticks up a 1/2 inch or so. Doesnt seem normal to me. Both sides are exactly the same. I tried to see if tightening it would do anything, but of course when I tighten it, the strut just spins so I cannot get it any lower. I'll post a picture. Thanks for any input. HELP!! 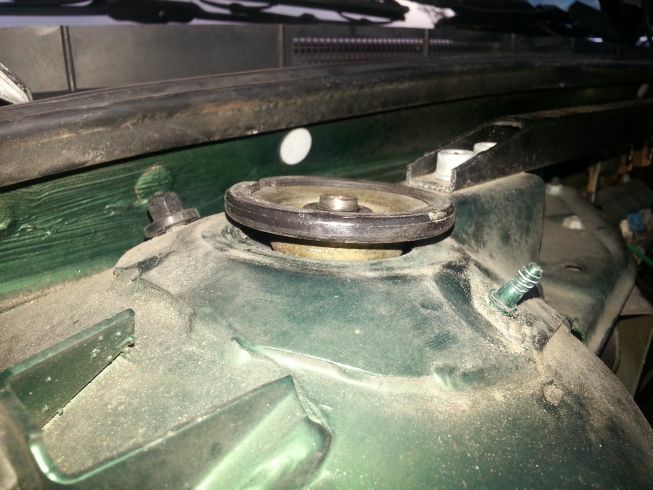 1996 Audi Cabriolet Can a bad alignment cause broken Struts Strut Mounts and Tie Rods? Quick Reply: 1998 Cabriolet Struts - Is this normal?